Our Pre-Kinder Medal is designed just for kids and allows you to celebrate commencement day in a truly special way. Use a medal to showcase each of your deserving young graduates and ensure that they truly feel celebrated and special when they reach this important milestone. We’ve created a unique medallion that is perfectly sized for children and is a scaled down replica of our popular honors models for adults. We’ve chosen a tough and durable kid friendly die cast zinc for this lovely adornment. A playful teddy bear adds a whimsical touch; the text is crisp and easy to read. Our Pre-Kinder Medal has a specialty plated brass covering with a polished antique finish. This piece is designed to be worn on graduation day and then become a long lasting keepsake of the early education experience. Each Pre-Kinder Medal is precisely scaled to be just right for young kids, measuring just over 1.5 inches (4 centimeters) wide and features a loop for easy hanging. It’s fast and easy to attach one of our matching specialty ribbons in your choice of colors and get your young students ready for the ceremony on the big day. Need medals for your older graduates? We offer Kindergarten and Head Start medallions for children as well. Orders with Expedited Shipping (2nd Day Air or Overnight) placed after 2:00 PM EST will not beginning processing until the next business day. 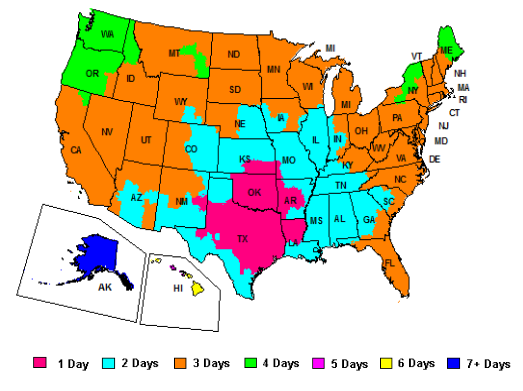 FedEx deliveries are made on Standard Business Days Only (Monday - Friday, except holidays & weather permitting). All Orders for “Stock Products” will ship out within 72 hours (3 business days), Orders placed using Express Shipping (2nd Day Air or Overnight) will ship out same day if placed before 2pm EST, otherwise, your order will ship the following business day.We offer Rush Shipping options which speed up your order handling time. Expidated Shipping options can be selected during the checkout process. If any item(s) are out of stock, we will inform you of the situation and let you know your options in terms of later delivery or alternate styles. We will ask whether you would like to proceed with your order or make changes to your order. No substitutions of items will be made without your prior consent. You also have the option to backorder your item(s). International shipping rates vary by destination. To obtain a shipping quote please add your products to cart and use the "Estimate Shipping" Tool. Chat with one of our Graduation Concierge about all of your commencement needs.